The Act also aims to push the FCC to work along with the Consumer Financial Protection Bureau, Department of Justice, Department of Homeland Security, Federal Trade Commission (FTC), and other agencies to provide information to Congress about advancements in hindering robocall and prosecuting scammers. Perhaps most importantly for us highly annoyed Americans, the bill would also force phone service providers to use call authentication that filters out illegitimate calls before they go through to consumers. Thune explained in a statement that current regulations are inadequate because were made for “lawful telemarketers” that mess up. 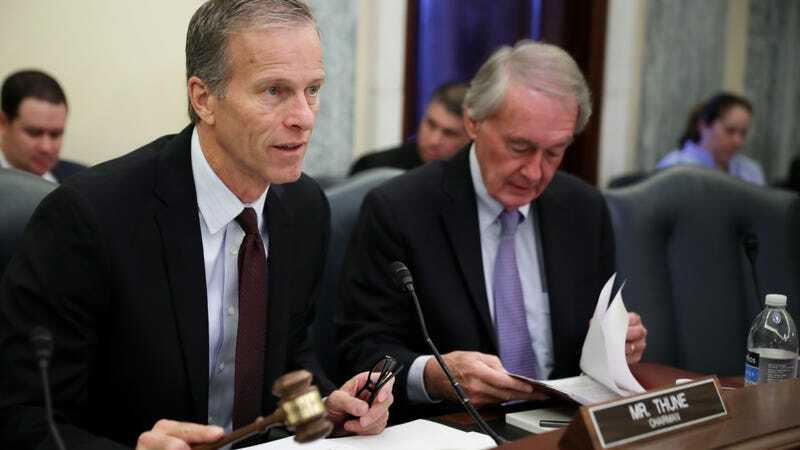 “This enforcement regime is totally inadequate for scam artists and we need do more to separate enforcement of carelessness and other mistakes from more sinister actors,” Thune added. One company that monitors robocalls and provides a blocking service, YouMail, estimates that 5.1 billion robocalls were made to U.S. phones just last month.